In everyday life the garden bird can take on a mythical presence, formed of ephemeral memories and combined with imagined features. The 'at a pinch' range are a physical representation of these of nostalgic memories, that enable the owner to connect with nature in a way modern life doesn't always allow. 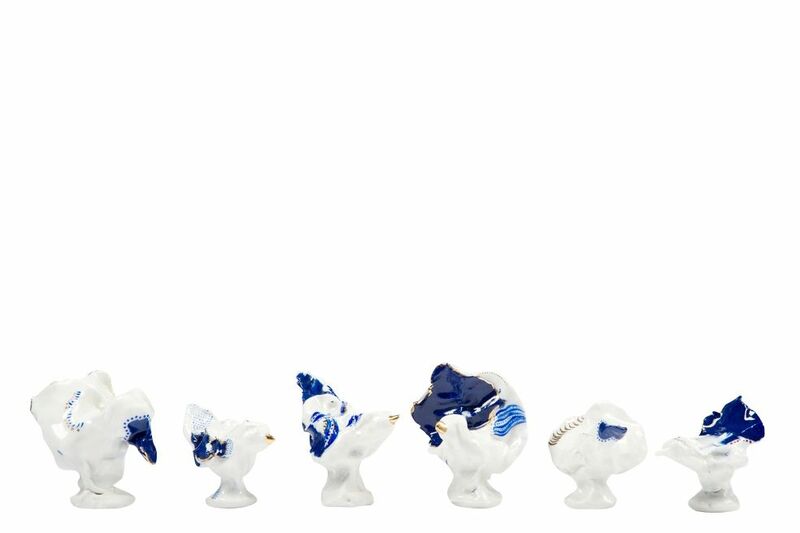 Each bird is uniquely crafted to determine a distinct personality and style. Working with interior decorative ornament and surface pattern, her work challenges our relationship with decorative ornament and its relevance to contemporary design.